You will love the layout of this Shasta Oasis travel trailer because of its clean and fresh design. 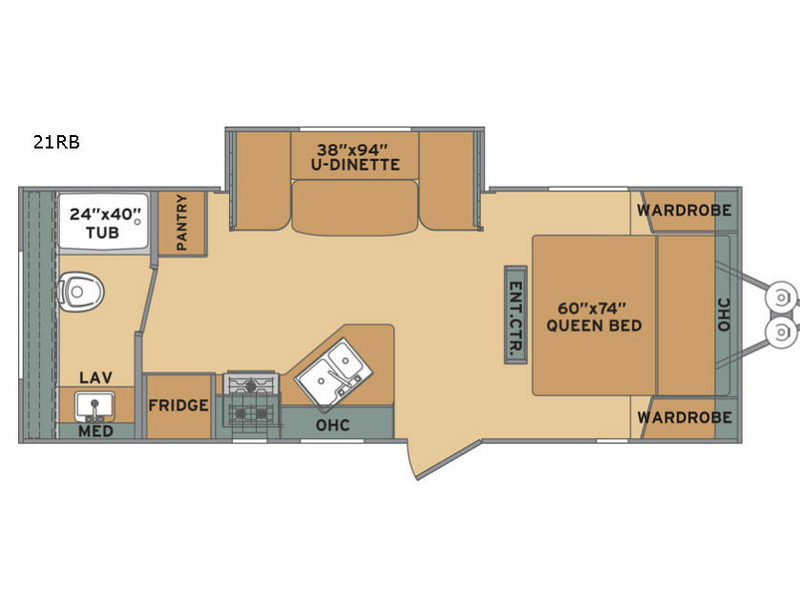 The single slide gives this trailer extra space to house a U-shaped dinette which can seat everyone for dinner or convert into sleeping space at night, and bringing along enough food to feed your guests will be easy to do because the large pantry will allow you to store all of the snacks and dry goods that you have stocked up on for the trip. If the weather won't permit you to go outside, you can kick back indoors and enjoy the entertainment center or a board game with the family. 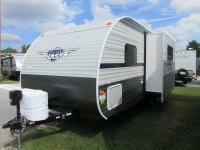 With any Shasta Oasis travel trailer you can expect quality, comfort, and value in every model. Inside of each Oasis you will enjoy LED lighting, Carefree flooring that is super easy to clean, and handcrafted pocket-bored and screwed cabinetry to ensure years of use. 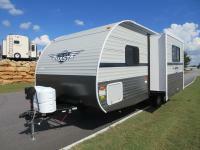 There is lots of storage space throughout, as well as comfortable furnishings, and you can easily cook your favorite camp-out meals with the handy 3-burner cooktop stove and 6 cubic foot refrigerator. When it comes to keeping everyone clean and smelling fresh, the 6 gallon gas DSI water heater allows you to take long hot showers, without any problem at all!